Welcome to Manteo Middle School, “Where Believing is Achieving.” Here at MMS, our staff and faculty are committed to provide a nurturing environment in which all students can achieve their highest potential. Our goal is to promote student learning, both academically and socially, while maintaining open communication between home and school. The faculty and staff will endeavor to challenge and motivate our students to exceed our recent levels of excellence. We seek your cooperation, support and active engagement to continue enabling our students to persist in meeting and surpassing the standards set before them. 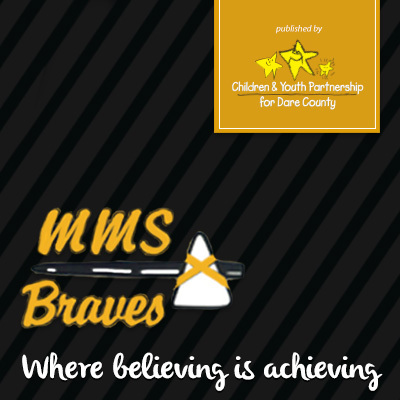 Manteo Middle School faculty and staff will continue to implement quality programs and place emphasis on the Dare County Schools mission to Educate Every Child.